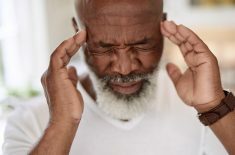 Some research suggests that anxiety and depression can trigger migraines or migraines can trigger anxiety and depression. They kind of work hand-in-hand. For me, and from my experience with this, when I’m stressed or anxious about things going on in my life or I’ve just got a lot of work on, I find that this definitely triggers migraines, so I try and make a conscious effort to relax and force myself to kind of chill out a little bit. What I do to relax is turn off all screens. I know it’s hard today to not be looking at your phone, scrolling through Twitter or Facebook, or watching something on the TV — but I definitely try and make a conscious effort to turn off all screens. I go for a long bath. I sit in the shower. I just do anything that involves my eyes and my brain not overthinking or stressing out about anything. 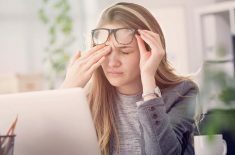 Migraines and chronic daily headache are common in people who suffer from anxiety, and I’ve seen, through research, that doctors have found a link between them, so if you have anxiety or depression and also suffer from migraines, it might be worth treating them both as separate things, rather than two together. So, I’d just go and speak to a professional or a doctor and ask them whether you can have some kind of treatment toward your anxiety or toward your migraines, and hopefully, they all kind of balance out and work out to help each other out in getting better. 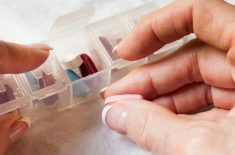 I know from personal experience that a doctor can, indeed, prescribe medication to prevent migraines, so if that’s something that you haven’t already gone and had a look at, there are so many different medications on the market and so many different ones. You might have tried one and it didn’t work, but trust me — stick it out and keep going until you find one that works for you. I’ve been through so many, and it just is a bit of an effort, but honestly, it’s worth it in the end. And hopefully, once you do find one that suits you, the anxiety, depression, and migraines kind of slow down or ease off a little bit. Also, as well as a medicated resolution, I just advise to sleep well, eat enough, drink a lot and make sure you’re just hydrated and well fed, because that definitely links in with the stress and the anxiety side of it, for me, so maybe you guys will find that helpful, too. This is a very difficult topic to talk about, so if you do have any personal experiences or advice to offer people in the comments, please do leave your comment down below.